Oh, yum!! This is so easy and delicious. I was serving seven people so I used 2 pounds of shrimp, but you can use whatever amount you want. I would still use the same ingredients. It makes very tasty juices to sop your bread into. Heat oven to 350 degrees. Put stick of butter into your pan and put it in the oven while heating up and melt your butter. 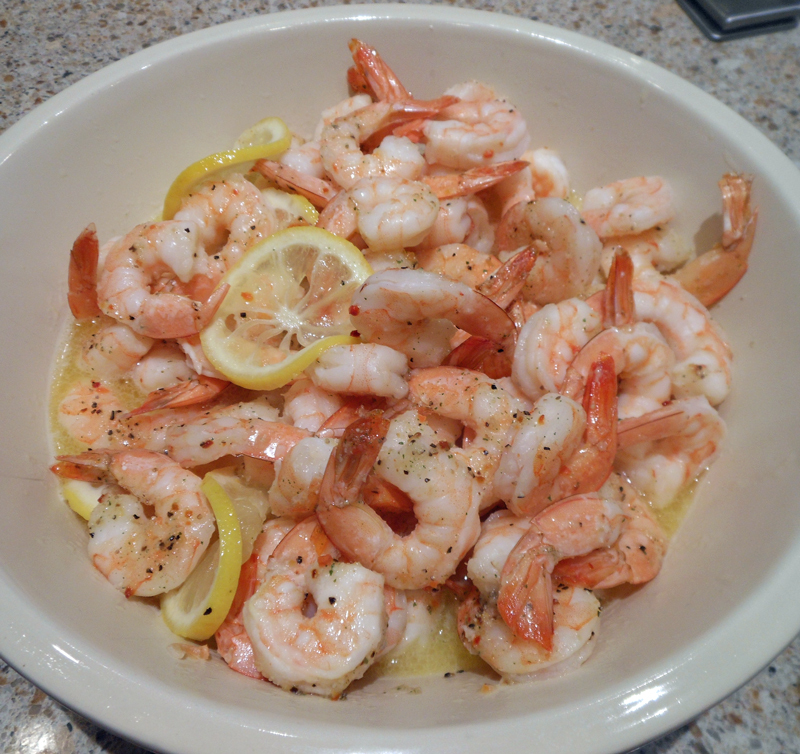 For 2 pounds of shrimp I used a 10″ x 15″ baking pan. For less shrimp you can use a 9″ x 13″ baking pan. After butter is melted, layer lemon slices on top of it. Add your shrimp and then sprinkle seasoning mix over all. Bake for 15 minutes and serve. This was absolutely delicious…definitely will make this again.